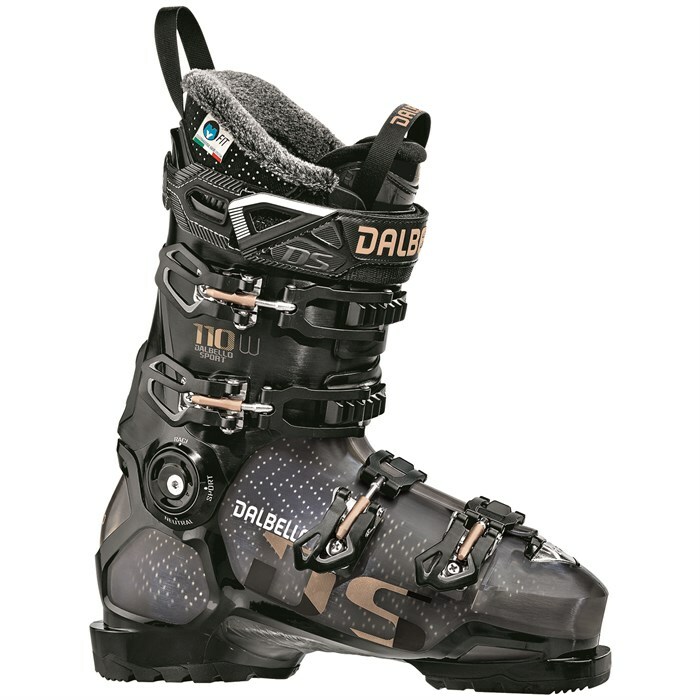 A ripping big mountain boot with 4 real buckles and a conventional overlap design, the Dalbello DS 110 W Ski Boots may seem like a departure for Dalbello but after skiing them you'll agree it feels like they've been at it for years (actually, they have built similar boots for World Cup stars all along). All we can say is the proof is in the performance pudding, and the DS 110 W delivers plenty. 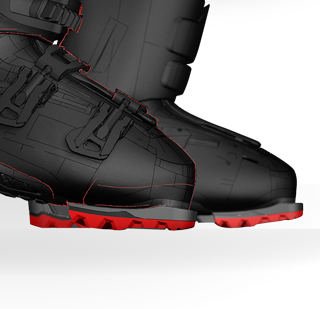 With a heat moldable shell and IF Performance liner, this 99 mm lasted performance boot will fit a wide range of feet. Last: 99 mm  A medium width and average volume last which will fit many feet without modification. 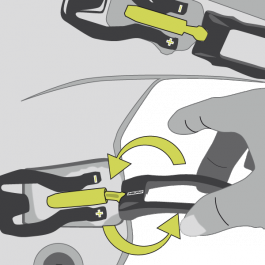 My Fit System  The Dalbello legendary fit got an upgrade in more than 60% of the boot range thanks to the My Fit System. Liner and shell can now be thermo customized in addition to the pre-molded Contour 4 shell which is included in every My Fit boot. Power Cage  Bi-injected cage design that consists of a hard PU frame integrated with a second injection for a lighter weight, slimmer-looking design with great power transmission, easy entry, legendary comfort and cosmetic appeal. 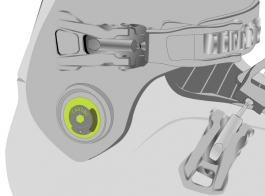 Rearward support is enhanced by an ABS plate integrated into the cuff, while a special textured surface on the lower shell provides the power transmission of thicker plastic without the added weight.